Sam: If we open the door to superstition, where does that lead? I kid around in my title, but really, when you are the lead in one of the most popular film franchises of all time and now star in a completely different film, it is hard not to call attention to this fact. 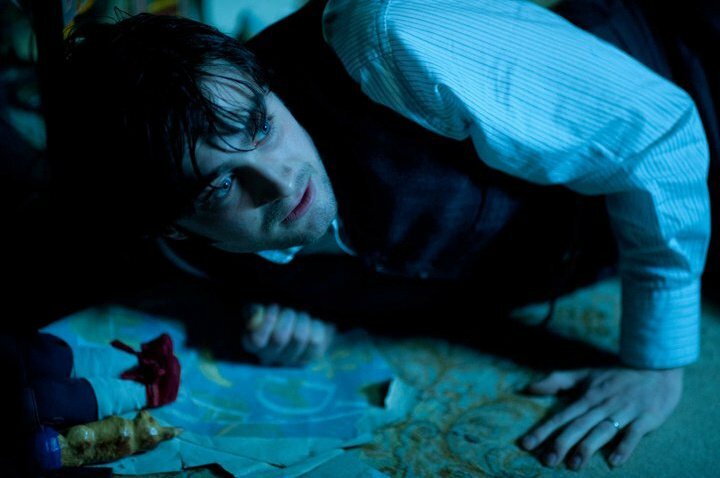 Daniel Radcliffe stars in an old fashioned horror film (actually produced by Hammer Film Productions), that is steeped in effective atmosphere and does a lot right, without having to resort to blood and gore, in place of actual scares. 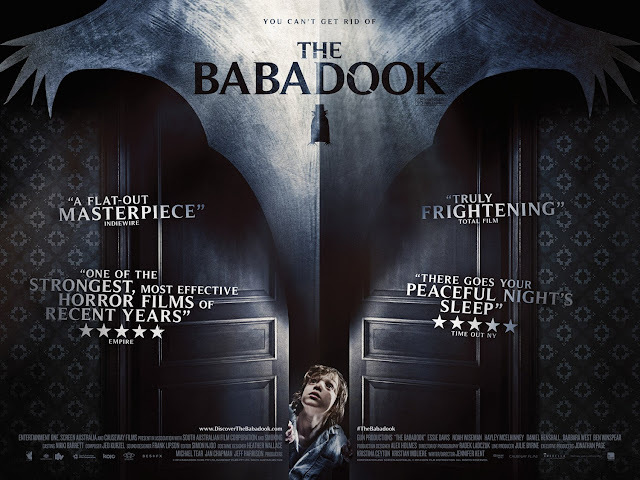 The story is very simple (which is common in Hammer Horror films), with fairly predictable plot beats and scares, and when the film is not trying to scare you, it is basically trying to depress you, but with all that in mind, it is a solid effort in regards to haunted house/ghost stories. 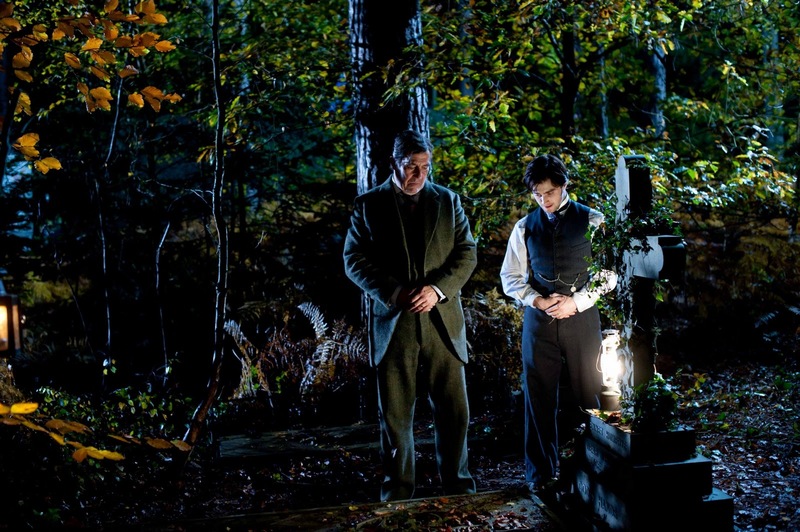 Set in the early 20th century, after an incredibly somber cold open, we are introduced to Arthur Kipps (Daniel Radcliffe), a young lawyer living in London. He is a widower, with a young son who has apparently never seen him smile. Arthur is given news of a recently deceased woman in a village out in the countryside and must leave to settle her legal affairs. Upon arrival, Mr. Kipps (and try to pronounce that with the most droll, British accent possible) is given pretty much nothing but dirty looks from the village residents, with the exception of Sam Daily (Ciaran Hinds), a wealthy land owner, willing to give the young lawyer a ride to where he needs to be. 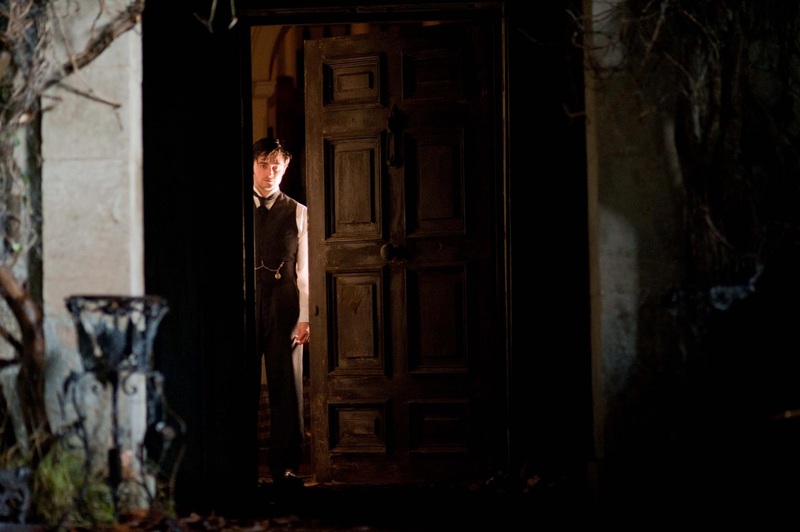 Eventually, Mr. Kipps arrives at the home of the recently deceased woman, who lived in an incredibly isolated home (the tides literally have to go down in order to reach it). While attempting to conduct his business, mysterious sights and sounds continue to be seen and heard. In particular, a woman in…dark garb…is constantly appearing all over the place (sometimes screaming). This is creepy enough for Mr. Kipps, but the real tragedy is the toll it is taking on certain residents back in the village. Hopefully Mr. Kipps will be able to finish his legal business and make his way back home, but a slight detour may make this less than possible. 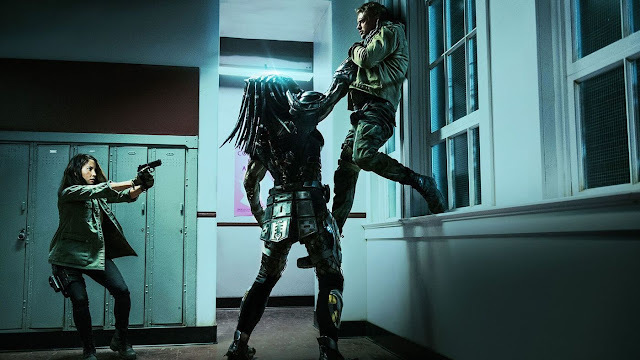 This film has been adapted by screenwriter Jane Goldman (co-writer on X-Men: First Class, Kickass, and Stardust) from the popular 1983 horror novel of the same name by Susan Hill, which has been previously adapted in a very popular UK stage play. The result is a very simple story that is built around its setting, thick atmosphere, and a couple of lost souls. I could almost call it an echo of classic horror filmmaking if it wasn’t for a slight overreliance on jump-scares. However, for a PG-13 horror film, one of the best compliments I can give The Woman In Black is how it feels like a complete film and not one that needed any edits in order to gain a general audience –friendly rating, only to have a silly “unrated edition” upon its Blu-ray/DVD release. Having jump-scares in mind, the thought of whether this film should be considered scary or creepy is important to establish. I would not necessarily say the film is scary, as jump-scares simply make one jump after a sudden shock combined with a loud music chord. As well setup as some of these jumps may be, they are also fairly predictable and did not lead to me being kept awake later that night. For the most part, I would say that the film is much more about establishing its creepiness, especially when focus is in and around the secluded house, which is really more of a gothic mansion. Simple horror staples involving sound design (plenty of creakiness), effective use of the dark, and the placement of creepy toys all work in the film’s benefit, when it comes to establishing a mood. And I am also always a fan of how a film managed to appropriately layout its geography. Knowing how the house is setup works in keeping me intrigued as opposed to confused. 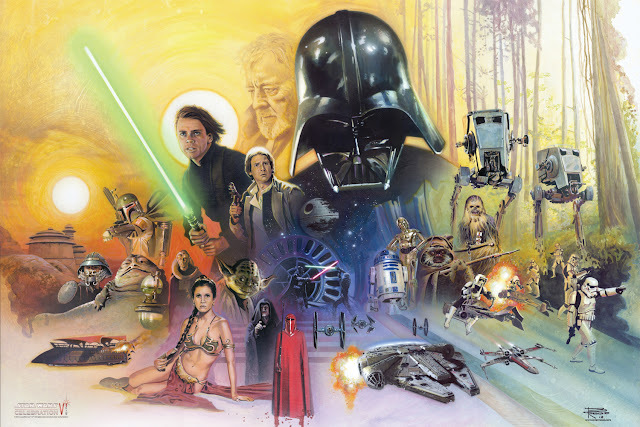 The look of the film in general is decidedly somber, which is played to the film’s benefit, even if there are some problems stemming from this. One of these problems is a common issue that involves what I’m calling, “horror movie show & tell.” This is the wonderful game that characters in this type of horror film play, where they are quick to warn someone away by using vague statements and evil stares; however, they do nothing to be more understandable, like giving clear indication as to why they need to warn outsiders of something evil afoot. 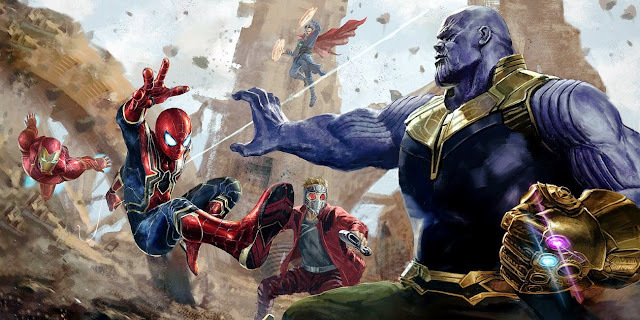 It only serves movie logic as to why characters are not being clear with one another, which tests one’s tolerance when it comes to films like this. As the movie was fairly entertaining in more ways than just spooky atmosphere, this was not too much of an issue for me. The cast here is quite small (a step up from the stage play, which only has two actors), but all have the appropriate look of countryside villagers. Two significant roles belong to Ciaran Hinds (a character actor I quite like) as Sam Daily, who has a significant supporting role, and Janet McTeer, who portrays Mrs. Daily. Again, as my title implies, the film’s screentime is almost entirely based around Daniel Radcliffe, who is given a pretty dramatic role to portray. It is slightly unfortunate that he comes up a bit short here, which is not to the fault of his acting ability and more due to his boyishness. 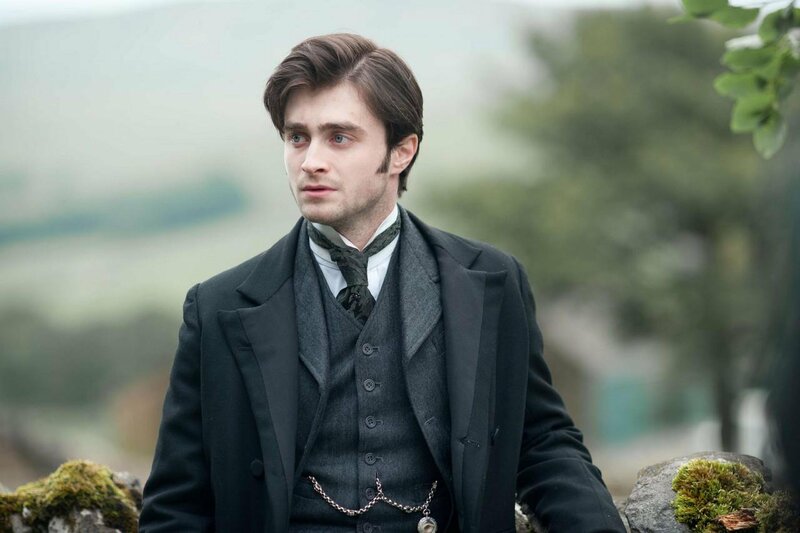 The character of Mr. Kipps is supposed to be young, yes, but Radcliffe doesn’t quite have the authority needed to be this person. This is especially apparent when watching him interact with his son, but fortunately the film mostly relies on Mr. Kipps reacting to the spooky occurrences happening around him. The roles both requires a filler persona to see scary things, but also one that can create empathy, and only one of those things is realized more believably. Issues aside, Radcliffe certainly doesn’t embarrass himself and I look forward to seeing his post-Potter career. 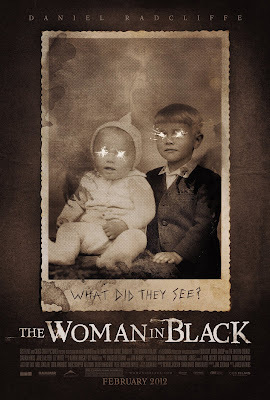 The Woman In Black works. I would not say it is a standout horror film for the ages, but it gets what it is trying to do right. Production design is very important in a film like this for the sake of atmosphere and I think it is handled very appropriately. 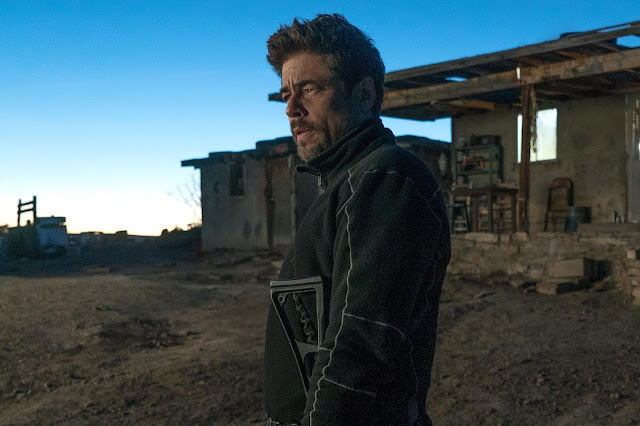 The somber mood (and I have not emphasized enough how depressing the subject matter really is) and deliberate pacing takes a bit of an adjustment, but as the film got going, I got more into it. It is a satisfying horror film overall and I would be happy to see more modern Hammer Horror films such as this one. Arthur Kipps: She’s there, trying to reach me.